Shenandoah Valley couvre la campagne de Mai / Juin 1862, dirigée par Thomas Jackson "Stonewall" . 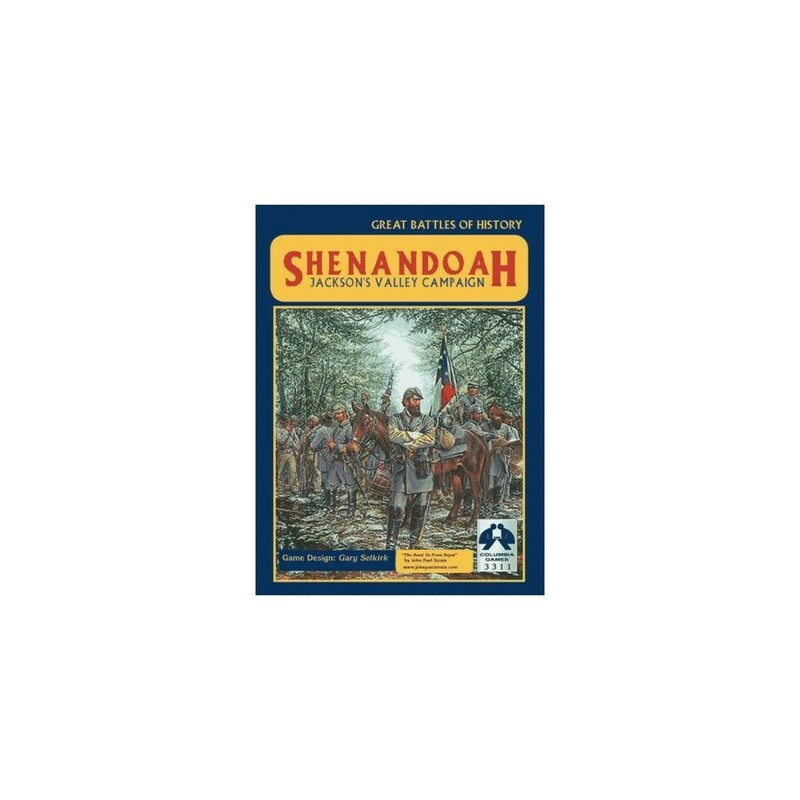 Shenandoah simulates the remarkable Valley Campaign of May/June 1862. Led by Thomas 'Stonewall' Jackson, a smaller Confederate army with audacious marching and fighting, paralyzed and defeated three enveloping Union armies. Military students worldwide study Jackson's strategy and tactics to this day. Players activate leaders to move their brigades. The CSA player has the advantage of central position, but Jackson must keep the Union armies from combining against him. The USA player has the larger army, but is hindered by the wide separation of friendly forces. Detachements allow players to bluff the enemy. Limited resources ensure that strategic decisions are challenging and battles are decisive and exciting.